I don’t know about you, but I’m all about having healthier brain cells. So when the special milk costs about 30 cents more than the regular organic milk — which is already double the cost of non-organic milk in some cases — I understand. And clearly, so do most of you. 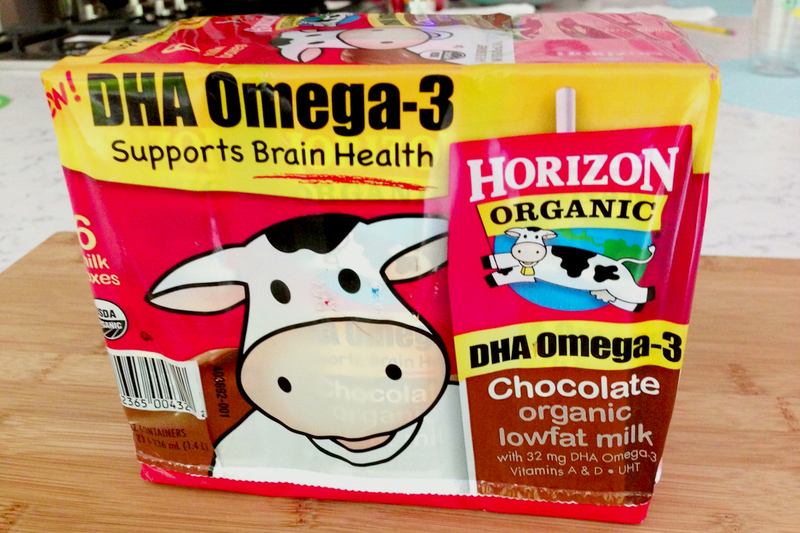 Horizon’s organic milk with DHA raked in about $250 million in sales, which accounts for 14% of all organic milk sold, according to The Washington Post. But have you ever thought about why this milk is so much better for your brain than the average half-gallon of organic milk? Maybe you were under the impression that a certain subset of Horizon’s organic farmers were using some special technique to do this naturally. Or maybe you accepted that there were additives but assumed that those additives were also organic. Either way, you would be wrong. That additive that makes your brain so healthy is a synthetic oil with a faintly fishy taste. It’s brewed in huge industrial steel vats that stand five stories tall from an algae called Schizochytrium, which is found along the coast of Southern California. According to The Washington Post, the U.S. Department of Agriculture isn’t doing much to stop Horizon and other companies from slapping its “USDA Organic” seal on their products despite using the factory-brewed oil, and it’s been that way for at least a decade. Of course, while Horizon is likely happy about this, consumer advocates on the other side of the spectrum believe a product that contains synthetic ingredients should not be labeled organic. This a huge debate because the “USDA Organic” seal tends to bring with it a pretty significant bump in pricing as well. For now, the USDA seems to be siding with the companies, not the consumer groups, when it comes to defining what is and is not organic. That means it will be up to you to decide if the extra cost for organic Horizon milk — and other organic products — is really worth it. Desiree Stennett (@desi_stennett) is a staff writer at The Penny Hoarder. She is beginning to question whether organic food is worth the extra cost.